Freshman, Frank Rousset receives a serve from his opponent (File Photo). 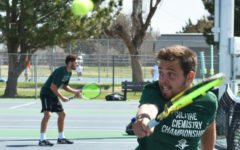 It was a week of endurance for the Seward County Community College Men’s and Women’s Tennis teams. Freshman, Hugo Lobo, prepares to receive a serve from an opponent (File Photo). Eight games in seven days. 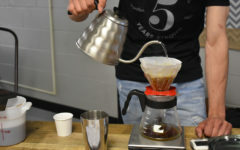 Each game is divided into a possibility of five total sets for men and three for the women. Each set consists of six individual games in singles and eight in doubles, making it a total of 70 sets … in seven days. Another test of endurance will be given to the Saints and Lady Saints this Saturday, making it a total nine games in seven days for the men, and seven for the women. Even with back-to-back matches against different teams, the tennis teams dominated their opponents. 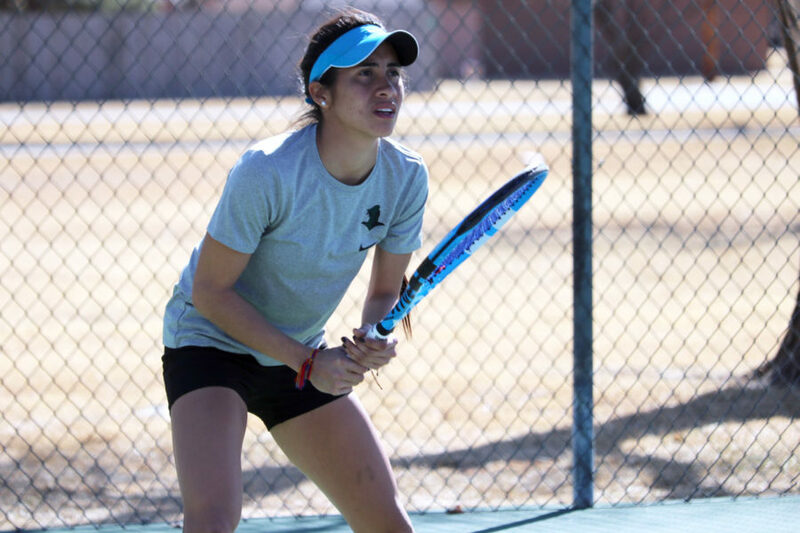 Both of Seward’s Tennis teams showed an extreme amount of endurance throughout the week, more specifically during Thursday’s matches, March 8, against Cowley Community College. After playing a Division II team the day before, the Saints continued to push through and get the win against Cowley, even after being worn out from the previous matches. So far this season, the Lady Saints’ record is 8-2 overall. They are undefeated in conference play after handily defeating the Tigers 7-2. 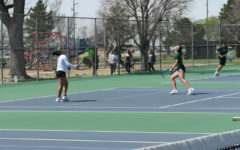 All three doubles teams for the Lady Saints defeated their Tiger opponents. In the number one spot, freshman, Patricia Panta and sophomore, Steffany Bermudez defeated their opponent 8-3. Sophomore, Martina Borges and freshman, Yusra Hegy took home a win in the number two spot, 8-4 and to finish off doubles for the Lady Saints, freshman, Alena Macharova and freshman, Maria Aveiga won 8-3 in the number three spot. In singles play, five Lady Saints played, with only one losing their matches. To begin, Panta won the number one spot, 6-0, 6-1. Aveiga finished the number two spot with both scores being 6-0. Bermudez took home the number four spot 7-5, 6-1 and Borges won the number five spot with scores of 6-3, 7-6. Hegy fell in the number six spots by scores of 6-4, 6-2, giving Seward their first loss of the day. 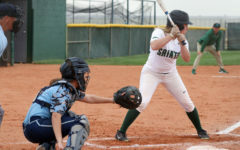 Macharova was unable to compete in the number three spot due to an injury, giving the Lady Saints their second lost. 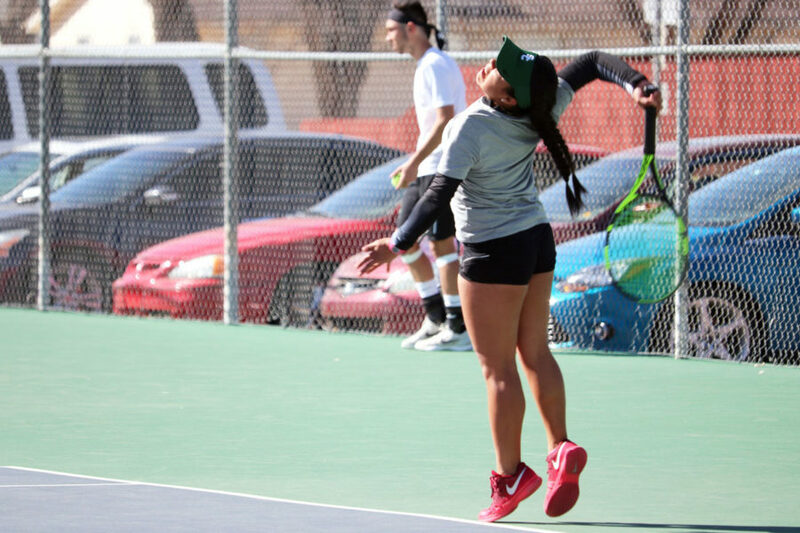 Sophomore, Steffany Bermudez, gets ready to receive a serve from her opponent in her singles match (File Photo). 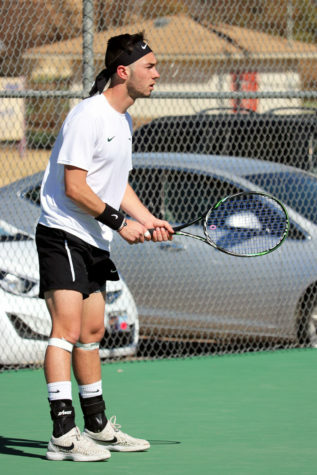 The men’s tennis team are dominating their opponents and having a stellar season. They are 21-2 overall and are also undefeated in conference. 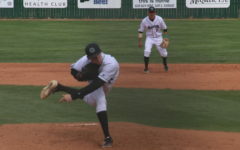 Against Cowley, the Saints went 9-0. Although the Saints won, they played some very close matches against the Tigers. For doubles play, Freshman, Nicolas Rousset and Freshman, Hugo Lobo won by a score of 8-6, while Freshman, Tim Lamare and Sophomore, Duro Opacic took first by a score of 8-2 in the number two spot. To finish off doubles play for the Saints, sophomore, Benji Finet and freshman, Carlo Izurieta won the number three spot, 9-7. In singles play, the Saints also had some close games. Opacic defeated his opponent in the number one spot by scores of 6-4 and 7-6. 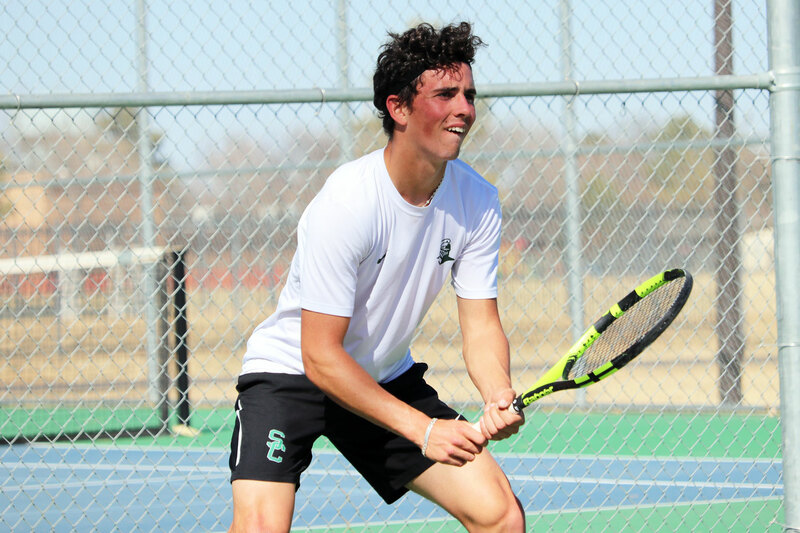 Rousset won the number two spot, 7-5,7-5, while Lobo took the number three spot, 6-4, 6-3. Lamare defeated his opponent by scores of 6-2, 6-0 in the number four spot and Izurieta finished off singles play in the number five spot, winning 6-2 and 7-6. Freshman, Nicolas Rousset, volleys with his opponent (File Photo). 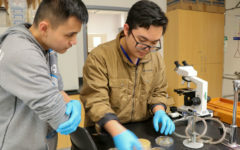 Both teams are looking forward to continuing their winning seasons in hopes to possibly earn Regional and National titles. 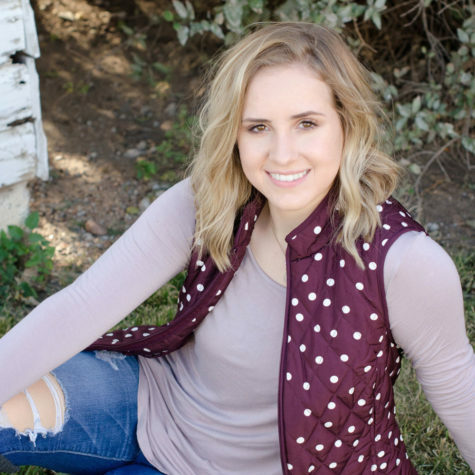 “The expectations are for us to continue to improve so we are playing our best tennis at the end of the year to win the Region title and compete to win the National,” Ashley said. 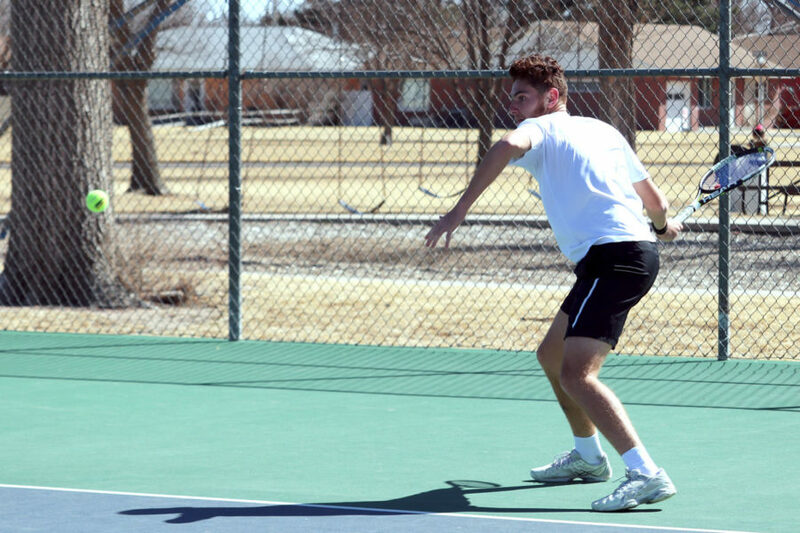 The Saints and Lady Saints tennis teams will be back in action against Hesston College on Saturday, March 10 for their fourth match-up of the week. “The match up Saturday versus Hesston is a good opportunity for some of our players that don’t usually get to play to see some action. So it will be fun to see our depth and I expect us to pick up a win even though we will be able to rest our top athletes,” Ashley said. 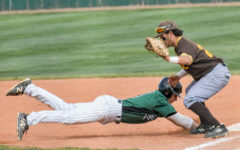 After Saturday’s match up against Hesston, both teams will travel to Pensacola, Florida over Spring Break to compete against ASA College (Miami), Abraham Baldwin Agricultural College and Tyler Junior College on Friday-Sunday, March 16-18. Freshman, Patricia Panta, serves to her opponent (File Photo).